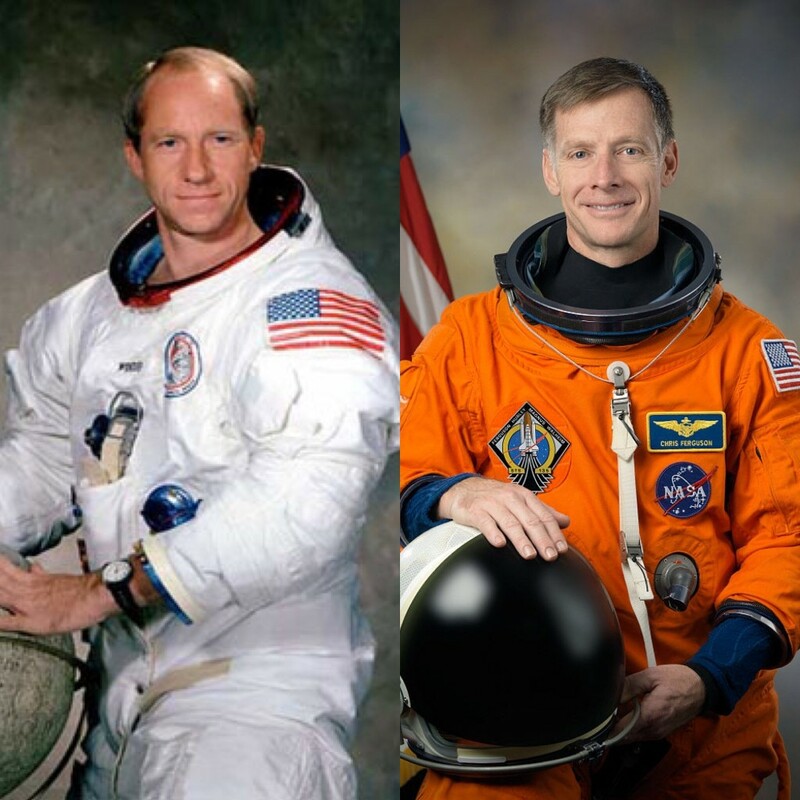 The Astronaut Scholarship Foundation is pleased to announce the appointment of former astronauts Al Worden and Chris Ferguson to its board of directors. This will be Ferguson’s first appointment to the board, while Worden, a past chairman for the organization, is returning after a brief time away. “Both gentlemen have a strong involvement with ASF and have a true commitment and enthusiasm for this mission. In addition to his corporate experiences, Al served on the board with many of the original Mercury 7 astronauts and brings a historical component that is invaluable. Chris, who is very active in the aerospace industry, brings a fresh new perspective and a lot of insight into the corporate world,” states former astronaut Dan Brandenstein, current chairman of the board. In addition to Worden and Ferguson, the board of directors consists of 15 former astronauts and 4 business professionals, three of which are Astronaut Scholar alum. Click Here to view a full listing of directors. Worden is a retired United States Air Force Colonel and NASA astronaut inducted into the U.S. Astronaut Hall of Fame. He is one of only twenty-four men to have flown to the Moon. He served as a member of the astronaut support crew for the Apollo 9 flight, backup command module pilot for the Apollo 12 flight and Command Module Pilot for Apollo 15. Worden is recognized by the Guinness Book of World Records as the “most isolated human being” for his time alone in the Command Module Endeavour. He has served as Senior Aerospace Scientist at the NASA Ames Research Center, chief of the Systems Study Division at Ames, President of Maris Worden Aerospace, Inc., and Staff Vice-President of BG Goodrich Aerospace. He is the esteemed author of three books. Ferguson is a retired United States Navy Captain and NASA astronaut. A veteran of three space shuttle missions, he was the pilot of Space Shuttle Atlantis STS-115, commanded STS-126 aboard Space Shuttle Endeavour and commander of STS-135, the final mission of the space shuttle program. He retired from NASA and is currently director of Crew and Mission Operations for Boeing. Welcome Al Worden & Chris Ferguson!